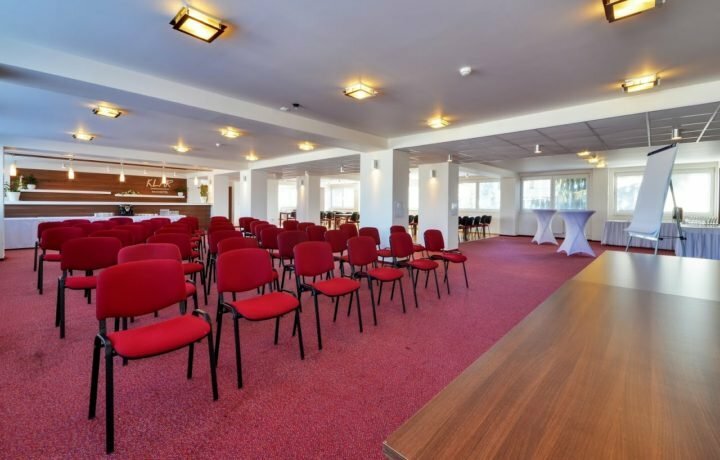 Are you looking for suitable place for company event, training press confrence or proffesional conference in Liptovský Mikuláš? We will definitely find the right solution for you, too. 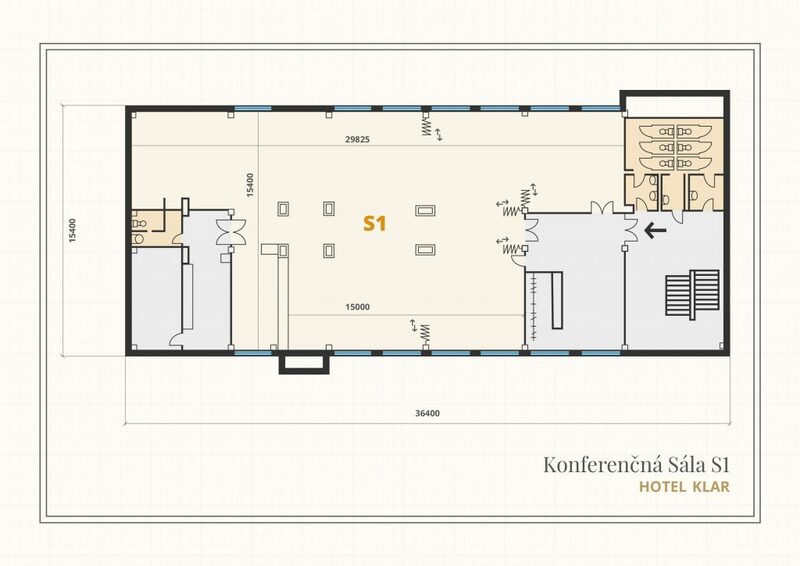 Except for a big congress hall, we offer four small lounges, which offer various flexible solutions. Our largest hall has 18 x 15 metres. In the case of need, it is possible to join this space with small loung no.1 and increase its size by another approximately 36m2. When sitting as at cinema, the capacity is 150 places. When sitting as in classrom with tables, 96 places and U shape sitting 120 seats. Conference hall is barrier free accesible. There is a changing room, open bar and relaxing zone with seats in the entry. The visitors of congress or conference have hotel carpark, free intrent WI-Fi and barrier free toilets and a lift at disposal. Lounge S1 is adjacent to a large congress hall and is separated with folding door. It may serve as a secondary space for discussions and negotiations or increase the space of congress hall. The lounge is ideal for company presentations and trainings. It may serve as a dancefloor for groups of maximum 30 people or as a bankquet room with a bar, dishes delivery and the space for the waiters. The lounge with the size 22m2 may be used as an „onehour office“or negotiating room. We are able to change the mini lounge into a mobile massage parlour or cosmetologist studio. 41 m2 and it offers 30 seats.